I admit to being behind in posting my tasting notes. In an effort to clear some backlog, you will find nine notes from recent Italian bottles in order of preference. I would try anything rated *** or **(*). These selections are priced between $15 and $25 at MacArthur Beverages which is quite an affordable range. Imported by Winebow. Alcohol 13%. A darker flavored wine with a ripe vein in it. There is some stemmy, supportive structure but it becomes rounder towards the end. The underlying black fruit picks up the chewy tannins to good effect. Satisfying. *** Now – 2024. Alcohol 14.5%. This wine has power to the black fruited, slightly puckering flavor. There are some astringent tannins and a sour tilt in the finish but this is thoroughly enjoyable. *** Now – 2029. Imported by Le Storie Wines. Alcohol 14%. Dark fruited with some red flavors as the slightly lively acidity comes into play. There is a crisp edge to the mineral flavor but this is a robust wine with cola-like verve before the drier, baking spiced finish. **(*) Now – 2029. Imported by Michael R. Downey. Alcohol 14.5%. There are dark, floral berry aromas on the nose. Rounded flavors of mixed red and blue berries are almost earthy with a stone note. There is fine structure and watering acidity framing the wine. The fruit focuses in the finish. **(*) Now – 2023. Imported by Banville Wine Merchants. Alcohol 14.5%. An herbaceous edge before the ripe, blue and black fruit. The flavors are carried on a dry, acidic edge which makes it fresh in the middle. This is attractive in a cooler, tannic way. **(*) Now – 2024. A maturing wine with firm aromas of cherry and soil. In the mouth it is focused with firm, black cherry flavor and watering acidity. It is still structured but in an enjoyable, integrated way. It wraps up with dry, earthy soil notes. **(*) Now – 2024. A good nose. In the mouth is lively red fruit, red tart fruit with black fruit underlying it. This is acidity driven with a mineral zip at the end. Flavorful with ripe hints of rolly polly stones and some heat. **(*) Now – 2022. Imported by RWK Imports. This wine is a blend of 80% Nerello Mascalese and 20% Nerello Cappuccio. Alcohol 13.5%. A good nose with floral perfume. Robust nerello flavors greet but they are a bit simple. The wine is clean and while it retains focus it does reveal some weight which becomes integrated with the dry structure and acidity. ** Now – 2024. Imported by Winebow. Alcohol 14.5%. Sweet vanilla and bakery aromas. In the mouth are blue fruits with a rounded edge. This is a ripe wine, bordering on sweet but fortunately becomes more mineral and balanced towards the finish. ** Now – 2021. The 2007 Calabretta, Nerello Mascalese Vigne Vecchie, IGT (Etna Rosso) is a surprisingly robust example of a red wine from Etna. It is made from old vines located in a single vineyard that is bottled as IGT instead of Etna Rosso. This done because various vintage of this wine were found to be atypical. I find that it will stand up to the cold weather as well as any hearty meal. Priced at only $26, it a strong value for a wine already showing maturity. You may find it at MacArthur Beverage. Imported by Williams Corner Wine. This wine is a blend of Nerello Mascalese & Nerello Cappuccio sourced from vines primarily 60-80 years old with some more than 100 years old and ungrafted. It was fermented in stainless steel then aged 36-42 months in large Slavonian oak casks. Alcohol 15%. A flavorful, maturing wine that is deep with notes of leather. The watering acidity carries the flavor through the very good middle and into the slightly coarse tannins of the finish. This is a medium bodied wine, full of flavor, that develops additional notes of vintage perfume and berries. ***(*) Now – 2025. I cannot seem to shake a consistently busy work schedule which eliminates any free time I have. Hence my sporadic posting. Of the lot of wines featured in today’s post the 2007 Domaine de la Mordoree, La Reine des Bois, Lirac is my favorite. I was a bit underwhelmed until several hours in when it completely transformed for the better. Of the wines which are currently available the 2012 J. M. Rimbert, Carignator is a good value. It is Carignan so it is a bit firm in a way but the flavors have taken on good bottle age. The 2016 Viticultores Emilio Ramirez y Envinate, Benje, Ycoden-Daute-Isora, Tenerife does not offer up the excitement I experienced with the 2015 vintage. The profile is still there but this vintage is not as expressive. I will try another bottle in case there is bottle shock. Finally, I was underwhelmed by the 2016 Domaine A. Clape, Le Vin des Amis. A strange evergreen incense marked the wine for days. Coupled with bitter black fruit it did not become enjoyable until several days in. I will broach my second bottle several years down the road. Imported by Simon n’ Cellars. This is a gravelly wine with maturing blue fruit, watering acidity then flavors of garrigue and strawberry liquor candied near the finish. it develops a spiced berry cote becoming drier towards the end where the strength of the wine shows. It wraps up dry. *** Now – 2023. Imported by Kysela Pere et Fils. This wine is a blend of 34% Grenache, 33% Syrah, and 33% Mourvedre. Alcohol 14.5%. There is a maturing core of fruit but there is still plenty of spicy structure surrounding it. The wine is thick with black fruit and a bit of bitterness towards the end. After 2-3 hours in the decanter it rounds out and the components come into balance quite well. There are racy blue flavors, watering acidity, wood box, baking spices, and a luxurious marshmallow body. **** Now – 2028. Imported by Dionysos Imports. This is 100% Carignan largely sourced from 70+ year old vines. It was aged for six months in old neutral barrels. Alcohol 13%. A medium opaque, bricking cherry color. This is a dry, textured wine that is maturing in the bottle. There are wood notes, a little balsam, and textured tannins left on the gums. **(*) Now – 2023. Imported by deGrazia Imports. Alcohol 13.5%. There are lifted aromas of tar. In the mouth are somewhat black and red fruit, mineral on the sides of the tongue, and minimal fine tannins which give it some grip. The wine tasted polished, focused, and modern. With it it becomes more mineral, which is attractive, and takes on a touch of cocoa. Solid but not moving. **(*) 2018-2020. A Jose Pastor Selections imported by Llaurador Wines. This is a blend of high-altitude 70-120 year-old Listan Prieto with some Tintilla that was foot trodden, fermented in concrete and tubs with indigenous yeasts then aged 8 months in neutral oak barrels. Alcohol 12%. This is a high-toned, bright wine which mixes white pepper and potpourri incense right from the start. The focused red fruit matched the polished wood note. There is a very gentle ripeness. **(*) Now – 2021. Imported by Kermit Lynch. This wine is a mix of Syrah from near the Rhone and young Cornas. It was aged for six months in cement and 6 months in foudres. This is a completely opaque, grapey purple color. Followed over many nights the nose is incensed with primarily evergreen aromas and floral notes. For the first few days there is a similarly incensed, evergreen flavor to this wine. It is bitter with very fine structure through the firm, polished, bitter black finish. The evergreen aspect eventually reduces with the wine showing focused, floral black fruit in the finish. ** 2021-2026. I absolutely love this wine. I found myself initially thinking I was up in the Alto Adige with some lively Kerner in my glass. Outrageously floral. The white twin to the red Ruché aromatically. 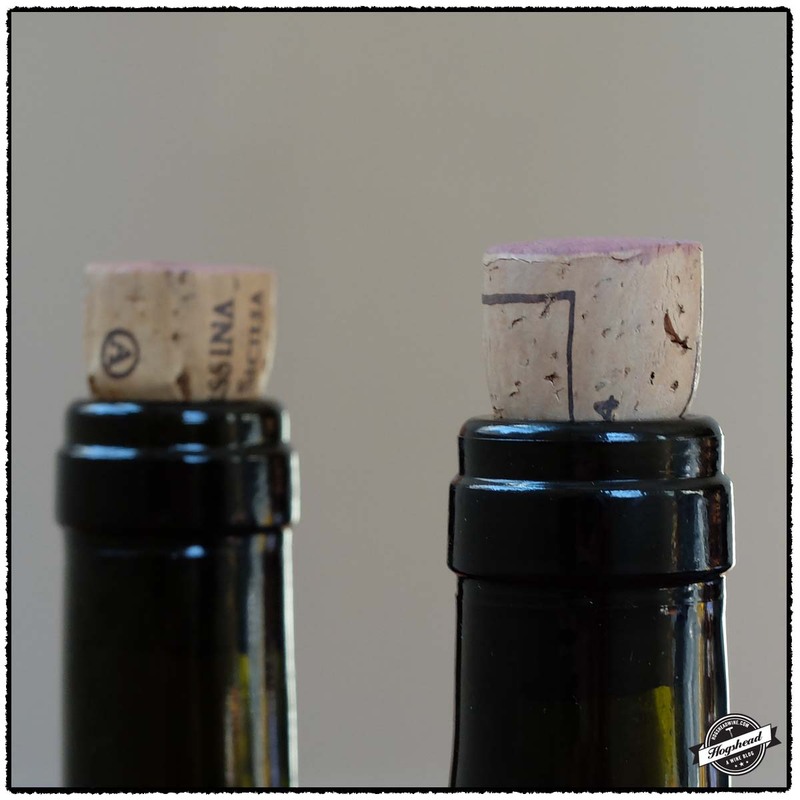 The wine tricks the palate – don’t be fooled by the ripe notes of peach and apricot, as the wine is dry. The wine could use a touch more acidity but on balance this is a beautiful warm weather white. I would not age the wine. DB. A little rustic at the beginning. Red fruits – cherry and wild strawberries. Then earth and some funk. But in a good way. This blend works well. Medium length in the mouth. The last sip reminded me of a very young Northern Rhone Syrah with the flash of violets on the palate. Finished long. DB. A few weeks ago we were joined by another family for a late afternoon gathering. The kids played while we tasted through a selection of Sicilian wines. It was a casual evening so I only jotted down brief impressions. To cut to the chase, the 2014 Tenuta Delle Terre Nere, Etna Rosso must be the most forward and generous vintage yet. It is a fruity, affordable wine from Etna to drink right now for our bottle seemed tired by the end of the evening. Still, it made for an enjoyable drink while we waited for the other bottles to come around. Whereas the 2013 COS, Pithos, Vittoria Rosso remained distractingly tannic and the 2013 Tenuta da Aglaea, Aglaea, Etna too simple, the 2013 Tenuta da Aglaea, Talia, Etna surprised us all. After 3-4 hours it became aromatic with an elegant style of complexity that had us all proclaiming it as our favorite as we then rapidly drained the bottle. These wines were purchased at MacArthur Beverages. Imported by Domaine Select Wines. This wine is a blend of 60% Nero d’Avola and 40% Frappato. It is fermented in terracotta amphora of 250 and 400 liter capacities. The fermentation is allowed to take its own course so there is no temperature control and it typically lasts for seven months. Alcohol 12%. The somewhat floral nose is followed by tart red fruit and a wall of very fine tannins. It remained distractingly tannic, even with extended air, leaving the impression the structure will outlast the fruit. *(*) 2020? – 2026? Imported by deGrazia Imports. This wine is a blend of 95% Nerello Mascalese and 5% Nerello Cappuccio sourced from 5-50 year old vines on volcanic soils. It was fermented then aged for 11 months in large French oak barrels then aged a further month in stainless steel. Alcohol 14%. Generous flavors of ripe red fruit tastes young in nature. Perhaps the most forward vintage yet it drinks well from the very first glass with supporting acidity and tannins. ** Now. Imported by Simon N Cellars. This wine is 100% Nerello Mascalese sourced from 40-50 year old vines planted on volcanic ash soil located at 2250 feet in elevation. It was aged for 8 months in old oak barrels. Alcohol 13.5%. After several hours of air the nose became very aromatic with floral and herb aromas. In the mouth were fine, red and black fruit flavors with a vein of lively acidity. The complexity and depth for aging is there but requires hours to come out. *** 2018 – 2024. Imported by Simon N Cellars. This wine is 100% Nerello Mascalese sourced from 10-30 year old vines planted on volcanic ash soil located at 2250 feet in elevation. Alcohol 13%. Brighter, more acidity, and simpler than the other bottling. *(*) Now – 2017. In these temporarily leaner times there are many wines from Etna that exceed my price range. The pair featured in today’s post are priced at what I regard as the beginning range for this region. Though both are from the 2013 vintage and are mostly expressions of Nerello Mascalese, they showed completely different in flavor and evolution. 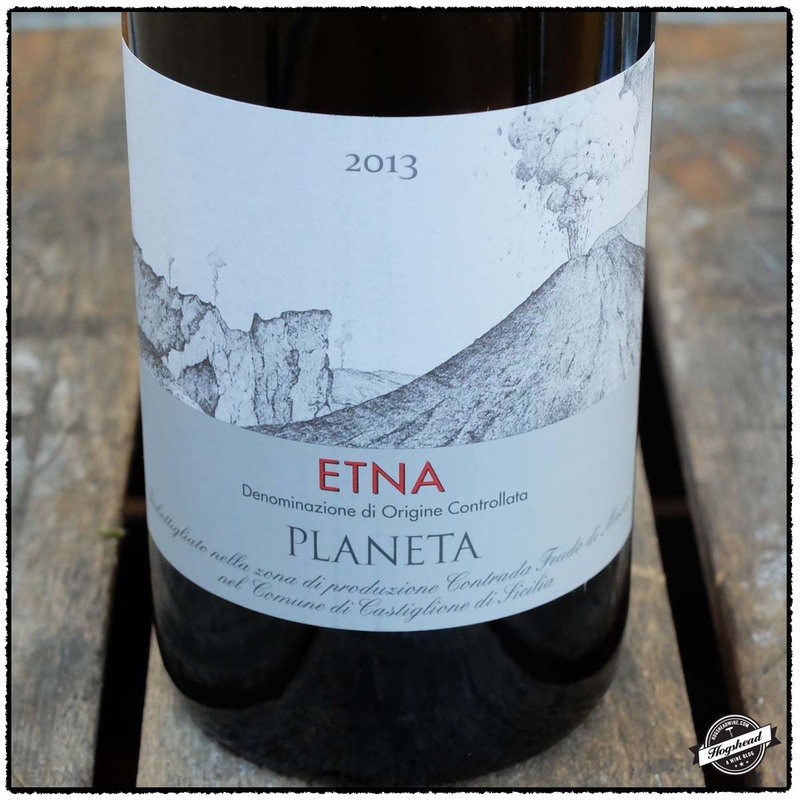 On the first night the 2013 Planeta, Etna Rosso was my wine of choice. It was the more forward of the two with darker red fruit and a romantically volcanic, mineral finish. 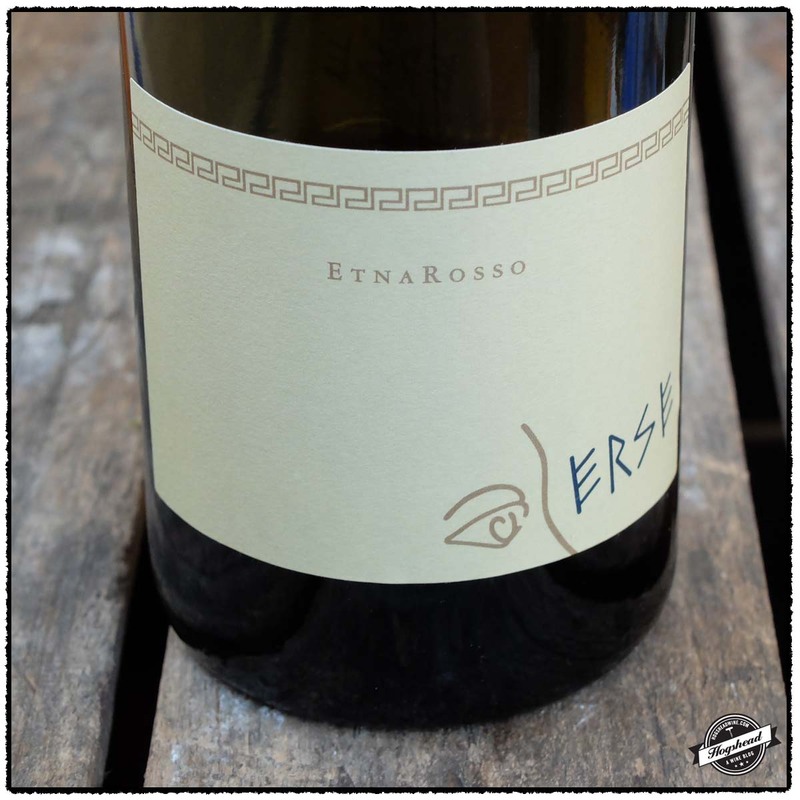 The 2013 Tenuta di Fessina, Erse, Etna Rosso, by contrast, was tight, higher-toned, and more acidic. You can imagine my surprise when first smelling the Erse on the second night to come across pure aromas of Juicy Fruit gum. That is perhaps not the best description but what matters is that the wine displayed its own unique profile. I recommend you try this wine but first give it hours upon hours of air or better yet, cellar it for the short term. These wines were purchased at MacArthur Beverages. Imported by Palm Bay. This wine is 100% Nerello Mascalese sourced from vines at 600-800 meters in elevaiton. It was fermented in stainless steel then aged for six months in used oak barriques. Alcohol 13%. The nose had tight aromas of darker berries. In the mouth were firm red fruit flavors that did not expand until the acidity came out in the finish. With air the red fruit became darker with a subdued structure of fine and dry tannins. The finish brought firm cherry flavors and a black, mineral finish. **(*) 2016-2022. Cappuccio sourced from vines at 670 meters of elevation that was fermented and aged in stainless steel. Alcohol 13.5%. The color was a light, grapey cherry. On the second night the nose revealed attractive aromas of juicy fruit gum. There were similar fruit flavors in the mouth. The wine was not quite light bodied and existed from the very beginning around an integrated structure. The tannins with a touch ripe, texture, an drying in the aftertaste. The pretty, berrylicious flavors were matched by juicy acidity. The wine picked up some weight towards the finish which emphasized the good fruit. *** 2016-2020. A few drinks from our International Gold Cup weekend. Our weekend was dedicated to the International Gold Cup steeplechase held in Virginia. Between hanging out at home with an old friend and drinking wine at the Gold Cup we went through a variety of wines. It was a gorgeous, warm and sunny day at the races so I spent my time chatting and tasting. Which meant I did not take any pictures. So I have no clue, for example, of what the tasty Barbera d’Alba was we had during the day. There was an elegant and crisp 2012 Failla, Chardonnay, Sonoma Coast. Between the 2013 Justin, Sauvignon Blanc, Central Coast and the 2012 Justin, Cabernet Sauvignon, Paso Robles, I preferred the later for being an unapologetically forward Californian wine. The 2011 Chateau Lilian Ladouys, Saint-Estephe was an herbaceous, Merlot dominant wine that, like the Justin, disappeared before I could taste it again. 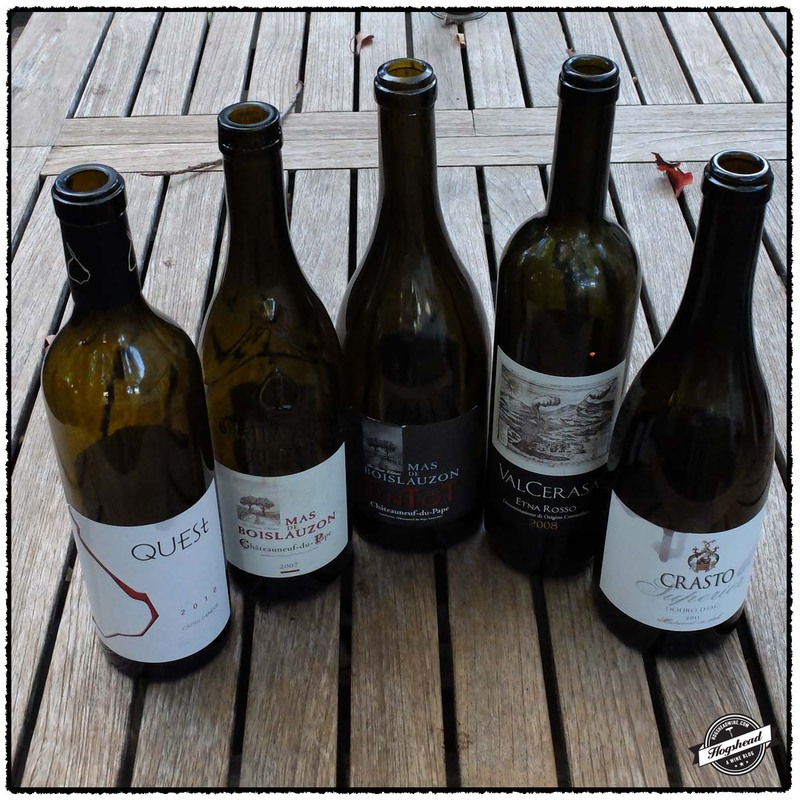 The most interesting bottles that I did save include the 2010 Castell d’Encus, Quest, Costers del Segre which is a Bordeaux blend sourced from high-altitude fruit in Spain. The particular cool factor is that the fruit is fermented in 12th century stone vats located in a mountainside. The resultant wine had herbaceous, brighter fruit with outstanding crunchy acidity. The 2007 Mas de Boislauzon, Chateauneuf du Pape and 2007 Mas de Boislauzon, Tintot Special Cuvee, Chateauneuf du Pape were a fun pair. The former is a Grenache dominated blend that showed secondary flavor complexity, good wood notes, herbs, all at a presently drinkable 13.5% alcohol. The Special Cuvee is purely Mourvedre. It possessed even less alcohol but packed more of a flavor punch of earthy fruit. I think this cuvee might be aged a bit more. The 2011 Crasto, Superior, Douro showed more polish from oak aging but came across as muted compared to the regular Douoro bottling that is both floral and flavorful. Finally, the 2008 Alice Bonaccorsi, Val Cerasa, Etna Rosso did not appear to have too many fans. This is primarily Nerello Mascalese with some Nerello Cappuccio in it. I rather liked its earthy take and reasonable price so I will follow up on this wine by drinking another bottle at a later date.